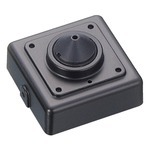 Micro Security Cameras - KPC-DNR700NHP4 - Only $129.95! 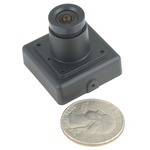 This new micro-cased camera features a high resolution Sony SuperHAD CCD. Combined with the 3D digital noise reduction and wide dynamic, this camera produces an amazingly sharp image with a tiny footprint that makes it easy to conceal.